Info "This UFO is here to research our planet. Help it gather samples." Unintelligent Life is one of Dribble and Spitz's Microgames in WarioWare: Smooth Moves. Its name is a pun on “Intelligent Life”. 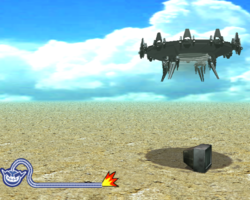 The objective is to abduct the objects on screen by moving the UFO directly above it. This page was last edited on February 20, 2018, at 15:41.